Are you looking for quick and reliable roadside truck and trailer repair service? Are you in search of truck and trailer roadside assistance at affordable rates? FixonRoad.com™ provides visitors with free access to a comprehensive network of mobile truck and trailer repair service providers. We are confident that our truck roadside assistance service providers will provide quick and professional truck repair services at reasonable rates. Some of the Roadside Truck Assistance Services that we provide include Truck Alternator Repair, Truck Starter Repair, Truck Belt Repair, Truck Hose Repair, Truck Battery Service, Truck Brake Repair, Truck Exhaust Repair, Truck Radiator Repair, Truck Fuel System Repair, Truck Axle Repair, Truck Electrical Repair, Truck Transmission Repair, Truck Tire Repair, Truck Towing Service and much more. 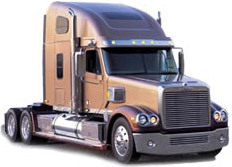 Our truck service providers are experienced in offering truck repair to all of the top brand names in trucking including Caterpillar, Cummins, Detroit Diesel, Ford, Freightliner, GMC, Hino, International, Isuzu, Kenworth, Mack, Navistar, Peterbilt, Sterling, Volvo, Western Star and many others. If you require emergency truck roadside assistance, visit us on the web at FixonRoad.com™ or give us a call at 1-800-208-6364 for 24-hour roadside assistance. We are confident that you will receive quality mobile truck repair and road service at prices that you can afford. Are you in search of the fastest roadside truck and trailer repair service? Are you looking for truck and trailer roadside assistance at price that is affordable? 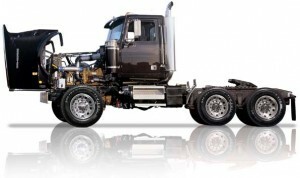 FixonRoad.com™ has an extensive network of mobile truck and trailer repair service providers. We are confident that one of our truck roadside assistance service providers us within 15 miles of your breakdown location. 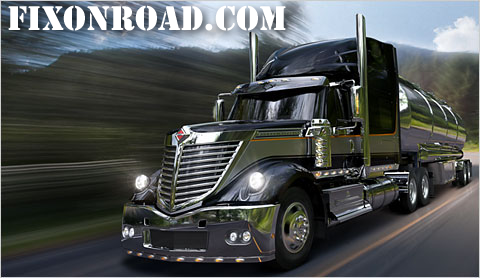 We provide free 24 hour access to truck owner operators, truck fleets and truck drivers. Our trucking roadside assistance directory is great for Semi-Trucks, Big Rigs, Reefers, Straight Trucks, Trailers, 18-Wheelers, Flatbed Trailers, Gooseneck Trailers, Low Boys, Heavy Haulers, Intermodal Chassis, Buses and RVs. If you are in need of emergency truck roadside assistance, visit FixonRoad.com™ or call us at 1-800-208-6364 for 24-hour roadside assistance. We are confident that you will get high quality mobile truck repair and road service at affordable rates. Need Truck Transmission Repairs? How Well Do You Know Your Truck’s Transmission? How well do you know your truck’s transmission? Trucks, semis, tractor trailers, 18 wheelers, big rigs, reefers, low boys and freightliners usually have manual transmissions. Truckers prefer manual transmissions because they allow the driver to have more control of the trucks. Nowadays, truck manufacturers also offer semi-automatic transmissions and fully automatic transmissions as well. In the past, trucks often had twin gearshifts, generally with 4 or 5 ratios on main shift and 3 or 4 ratios on the auxiliary shift. For the most part, semi-truck transmissions provide approximately nine or ten gear ratios. Semi-trucks can provide up to eighteen gears. The more gears a truck has – the finer the control of braking – especially in downhill situations and dramatic curves. On semi-trucks with constant mesh transmission a clutch brake is required to stop the rotation of the gears. This feature allows trucks to be put into gear without worry about gears grinding when trucks are stationary. When it comes to truck repair service, FixonRoad.com™ gives our visitors access to the most comprehensive list of Truck Repair service providers around. Our Truck Repair and Road Service providers specialize in: Mobile Repair Service, Truck Repair Towing, Mobile Trailer Service, Trailer Repair, Truck Stops with Repair, Mobile Tire Service, Truck Tire Sales and Tire Service, Quick Lube, Mobile Bus Service, Bus Repair, Truck Air Conditioning, Mobile RV Service, RV Repairs and Service , Mobile Bus Service, Bus Repair, Truck Glass Repair, Mobile Refrigeration Service, Reefer Repair and Service, Liftgates, Mobile Hydraulics Service, Truck Body Shops, Truck Parts, Load Shifts and Transfers, Truck Welding Frame, Truck Alignment and Truck Suspension. Posted in Road Service Locator, Truck News, Truck Parts and Terms, Truck Roadside Repair Service | Comments Off on Need Truck Transmission Repairs? How Well Do You Know Your Truck’s Transmission?